Today's show us your life is all about make-up. Thank goodness for make-up, right???? I'm always looking for new products so I'm interested in reading what you share! I hate giving any advice because I have none to give on this subject. I use absolutley no skincare products (which I know at my age I should but I just never have). 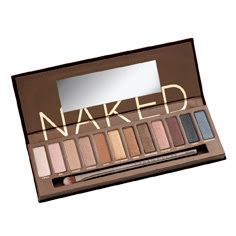 And then I got so nuts over the naked palette (which is a lot of money for eye shadow but I have been using it for like 8 months and I use almost every color and they barely look like they have been touched. So I count it as an investment that will last a while) that I tried out a lot more Urban Decay products. 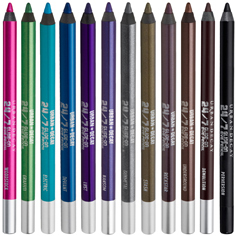 I LOVE the eyeliner and my friend Elizabeth uses this eyeliner too and said she thinks it's the best kind. 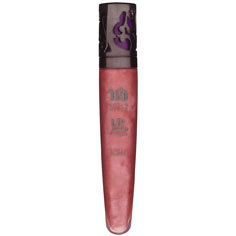 I'm also in love with this lipgloss. I use "naked" (there's a lot of naked going on, huh?) and it kind of even plumps up your lips. I used to have the worst dry, peeling lips and mine have been in the best shape since I started wearing this. I also wear Bare Minerals base make-up. I don't like to feel makeup on my face and I just like a light coverage. I think it works great and I recently added a packed powder on top and it has made a big difference. So those are my favorite products..........what are yours?????? ?